Krishna sets the example of how to receive a respectable guest. 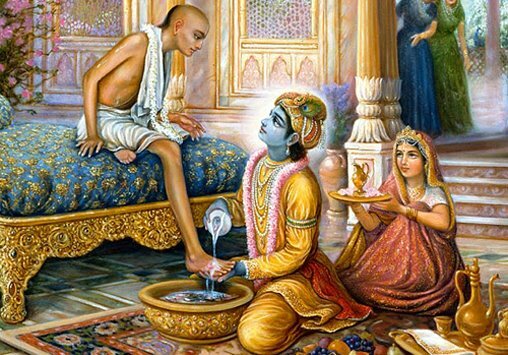 Here, in a story from the Bhagavata-Purana, he washes the feet of an impoverished brahmana. 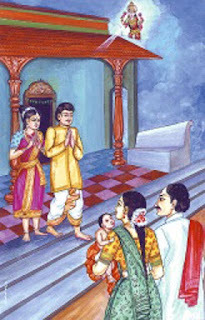 Offering hospitality is fundamental to Hindu culture and providing food and shelter to a needy stranger was a traditional duty of the householder. The unexpected guest is called the atithi, literally meaning "without a set time." Scripture enjoins that the atithi be treated as God. It was especially important to extend hospitality towards brahmanas, sannyasis and other holy people. There are many stories regarding the benefits of offering a suitable reception and the sins that accrue from neglecting one's guests. Tradition teaches that, no matter how poor one is, one should always offer three items: sweet words, a sitting place, and refreshments (at least a glass of water). The flower garland is offered to special guests and dignitaries, as a symbol of loving exchange. 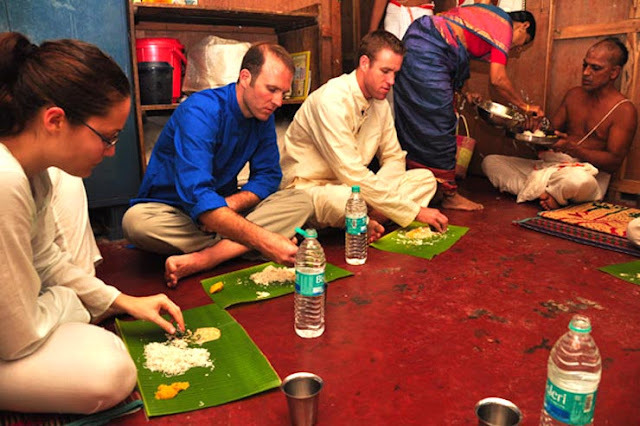 Offering food is an important and endearing aspect of hospitality in Hindu culture. Scripture also enjoins that one should treat visiting enemies so well that they will forget their animosity. A graphic example is that of the warrior class who would fight during the day and in the evening socialise with adversaries.Westerners visiting India (and other places in the East) are often astonished by the welcoming attitude towards guests and visiting strangers, strikingly different from the Western "beware of the dog" culture. Prayer is generally the first natural and conscious response in a person who has had some kind of religious awakening. The awareness of our human limitations and mortality is generally enough to turn us in the direction of, and seek help from, a Power or a Person who is not bound by those limitations. As a form of “receiving,” prayer is a movement from God toward human beings. When a prayer is answered, the heart is filled with gratitude. Worship is an expression of gratitude to God, expressed through love, praise and offering of anything that one holds dear. As a form of “giving,” worship is a movement from human beings to God. How does his movement from human beings to God manifest in daily life? Hindus view everything as permeated by God’s presence, so hospitality becomes an act of worship. God is the only possible guest, encountered inside a temple through ritual worship, and outside the temple through karma yoga or selfless service to others seeing them as manifestations of God. Saints and mystics have experienced the presence of God through both ritual worship and selfless service, attesting to the power and authenticity of these practices. In Hindu forms of worship, God is the divine guest and rituals recreate, mostly symbolically, the kind of hospitality that is generally offered to an honored guest in India. Among the things that are offered are an honored place to sit, words of welcome, water for washing hands and feet, water to drink, water for bathing, clothes, ornaments, sandal paste, flower, incense, light, and food. The offerings themselves are symbolical and are accompanied by appropriate Sanskrit mantras. More important than the symbolical offering and the chanting of mantras is the focusing of the mind on God with love, devotion, and faith. Another form of Hindu worship, called arati, involves waving of light, water (poured from a conch shell), cloth, flower and a fan, ritually recreating a respectful welcome to the honored, divine guest. The five items that are offered correspond to the five primary elements which the Hindu texts view as the building blocks of the material world: fire, water, space, earth, and air, respectively. In this form of worship, God is both a personal guest and a cosmic presence, welcomed simultaneously in one’s home as well as in one’s heart. The presence of God is encountered not only inside temples but also outside them. Hindu texts have proclaimed that the divine is present in everything and everyone. Helping others can be more than simply “helping others.” It can also include acknowledging and worshiping the presence of God in their hearts. Hospitality thus becomes not merely an act of service but also worship. 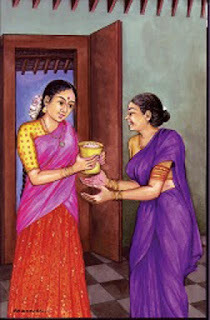 The sattvika gift is one that is given with no expectation of return, in a right place and to a worthy person, with the idea that it is good to give. The rajasika gift is one that is given with an expectation of return, or with an eye on the result, or given with reluctance. The tamasika gift is one that is given at the wrong place or time, to unworthy persons, without regard or with disdain. Although a man has not studied a single system of philosophy, although he does not believe in God, and never has believed, although he has not prayed even once in his life, if the simple power of good actions has brought him to that state where he is ready to give up his life and all else for others, he has arrived at the same point to which the religious man will come through his prayers and the philosopher through his knowledge; and so you many find that the philosopher, the worker, and the devotee, all meet at one point, that one point being self-abnegation. However much their systems of philosophy and religion may differ, all mankind stand in reverence and awe before the man who is ready to sacrifice himself for others. 1. I shall conclude with two stories: one from Hindu mythology and the other from recent history. The story from mythology highlights the dual role of God as guest and teacher. Disguised as a wandering mendicant, Krishna visits a wealthy family, who welcome him warmly and offer him hospitality that matches both their devotion and prosperity. When it is time to leave, he blesses his host profusely, promising him even more wealth and glory. Krishna’s next visit is to a poor widow, whose only possession is a cow. She too welcomes him with great devotion but all that she can offer him is a glass of milk. When it is time to leave, Krishna blesses her and tells her that her cow will die soon. Arjuna, who has accompanied Krishna to both the places, is horrified. He asks Krishna, “Your wealthy hosts lacked nothing and yet you blessed them with even more wealth. Whereas your blessing to the poor devotee accompanied the ominous news that she will lose her cow. 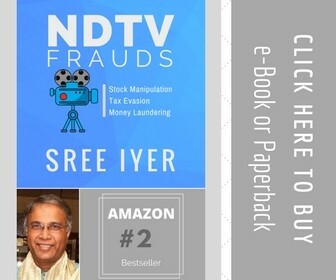 This is unfair and unacceptable.” Krishna smiles and tells Arjuna, “My wealthy host is insanely attached to his wealth and his reputation; he has a long way to go before he becomes spiritually awakened. On the other hand, this poor devotee is already far advanced on the spiritual path. The only thing that is separating her from the highest freedom is her attachment to her cow. I removed the hurdle from her path.” The insights that this story provides are obvious. God can enter our lives in any form and at any time, often in most unexpected circumstances. The blessing that the divine guest bestows upon us can be difficult to decipher at first glance. 2. My second story is of a relatively recent origin: it happened in southern India where I lived in the early 1990s. A cyclone had wrought enormous damage in and around the Tirunelveli district of Tamil Nadu. A monk of the Ramakrishna Order and a few volunteer members visited the affected area and were temporarily accommodated in a classroom of a school that had partially escaped the destruction. They had reached the place late in the evening after a long train journey. Exhausted, they had gone to sleep right away. Early next morning there was a knock at the door and they were surprised to see a middle-aged person with a bag filled with food. He said that he had a dream the previous night when a woman appeared and told me, “Go feed my children who have just arrived.” The dream was so vivid that he woke up with a start and narrated the dream to his wife in the morning. She first asked him to just forget about it but when she saw how much affected he was by the dream, she felt it would be good if something were done about it. They learnt that some people had arrived form Chennai the previous evening and were staying in the school next door. To get the dream out of his mind, they decided to give some food to those strangers and be done with it. As the man was speaking with the swami and his companions, he noticed the picture of Sarada Devi on the small temporary altar the group had set up the classroom. At once his face lighted up and he exclaimed, “That’s the woman I saw in my dream last night!” Baffled at what was unfolding before them, the swami and his group wiped their tears of joy and gratitude. Life offers infinite opportunities to extend hospitality in one form or another. In a worldview that has God’s presence pervading all existence, God is not only the divine guest but also the host. Hospitality is worship for those who understand its inner significance and potential. Why do we not touch papers, books and people with the feet in Hindu Tradition? Why do we prostrate before parents & elders?